Woodland Cape – Challenge completed! Hello everyone, I am kind of nervous here, this is my first blog post ever! Fast forward a few months, and The Montlhy Stitch was created, and what was the first challenge? A Cape! What a great excuse to buy the pattern and actually sew the cape! I have to say, getting good enough pictures to post was way more difficult than actually sewing the Cape… It’s a great pattern, very easy to follow, quick to cut and sew. I didn’t even bother with the gathering step before you turn it right side out, and it still turned out perfect! 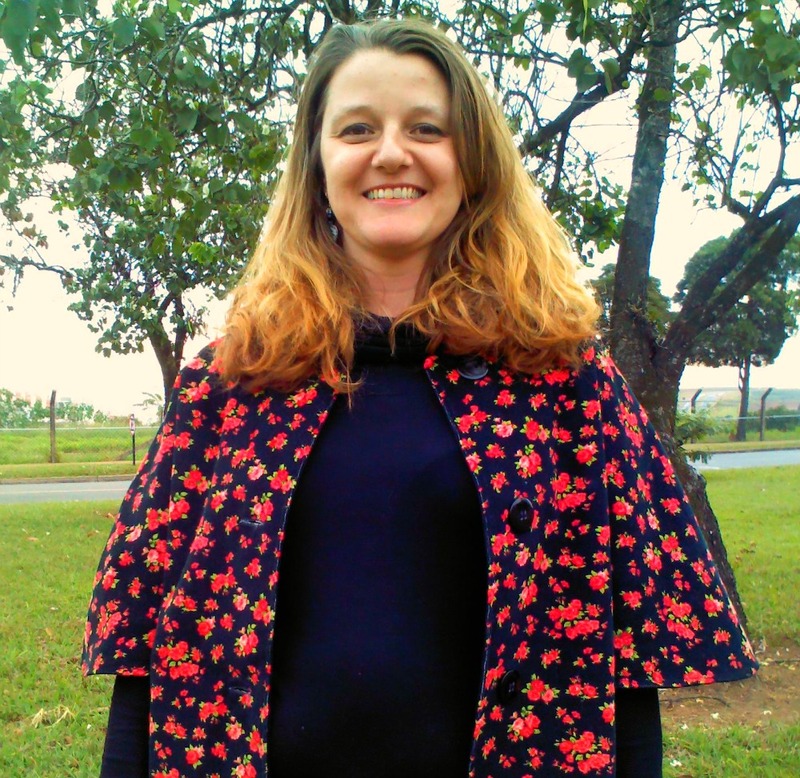 The fabric is this cute baby cord, black with some red flowers, remind me of Liberty prints… This was also my first lined garment ever, I used this light black wool on the inside, so the cape is warm enough for our mild winters in Brazil. The pictures don’t do justice, it really looks better in real life, but if I didn’t post this now, I might never post them at all. I am now looking forward to sewing a vintage pattern for next month, nothing like a challenge to keep me motivated! Love your baby cord patterned fabric & cape style, and welcome to the blogging world! this was my first time as a blogger, so I know how it feels. but now you know how warm and friendly everyone is…. feels good! 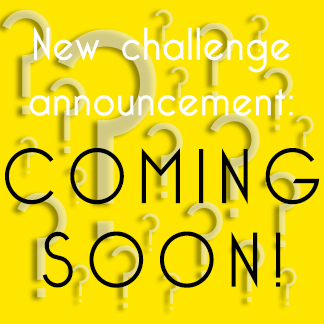 are you thinking about the vintage challenge? Thanks a lot! I am very happy to be participating on this, everyone is very friendly and encoraging… I am thinking about the vintage challenge, I have this vintage dress pattern from Butterick, but I am also going through my Burda magazines, every month they have a vintage pattern as well, I haven’t decided yet what exactly I am going to sew…. Lovely cape, and welcome to blogland! What a wonderful version of the woodland. Love the fabric! Thanks a lot, I love your blog, it is very inspiring to me! Oooh, first blogpost ever and it’s a winner! Congratulations on your blog and what an adorable cape, I just love it. Lovely cape and lovely fabric! So cute. Beautiful fabric as well. Love your cape! And no need to be nervous about blog posts: people are so friendly in the sewing community 🙂 I totally envy you for the lining. Thanks, I realized that, people are really nice and encoraging! Don’t envy the lining, I think it was the easiest ever! I am so happy with this Cape that I am now considering sewing a full lined jacket! OMG, I just realized that the gorgeous plaid cape is yours! Plaid is way out of my league, I tried a few times, never successfully, haha! Your cape is really amazing! Thank you, I don’t have the time to keep a blog full time, this is the perfect opportunity! I love your fabric. It looks great on too. Well done on a wonderful cape and a first post. Thanks! The fabric really is lovely, nice to sew, with a bit of strecht on it, but frays a lot, it’s a good thing that this cape is lined so I don’t have to worry about that! Lovely cape, I like the fabric. Welcome to the world of sewing blogs! I love the gorgeous print you used in your cape. Good for you, for lining it and adding those great buttons. Ah, you noticed the buttons? Thanks a lot! I really liked them, I am kind of addicted to buttons, I have a huge collection, waiting to be used somewhere… The thing is, I hate to make buttonholes, ha! Love the floral print fabric choice! It looks terrific! My pictures are never very creative. Looking forward to your future projects! Thank you! I hope to get better pictures for the next challenge! Happy first blog post! Lovely cape – I had never heard of this pattern before they started to pop up on this challenge, but I really love it and it works so well in that fabric. And yes – getting decent photos is a whole challenge in itself. I have grand ideas for picture locations, but never actually manage to get further than the garden! Good job with your cape. It’s always a good excuse to sew what you want to sew. 🙂 Welcome to Blogland and I hope you enjoy it. Your photos turned out great. I totally know what you mean about the photo challenge. It’s been one of my biggest challenge to get decent, interesting photos! Have fun! Thanks, yes, I really think this cape was meant to be… I didn’t think it was a very practical garment, but now I am in love with it!